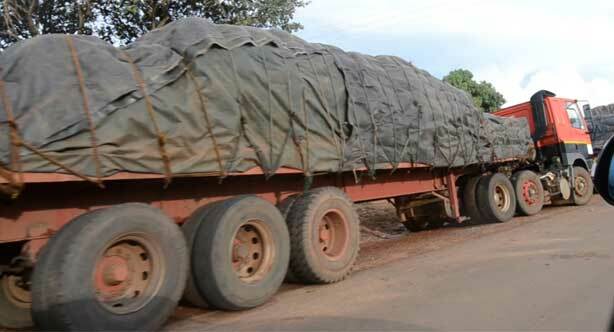 About 70 trucks importing maize that government has bought through Admarc have spent more than two weeks at Mwami border in Zambia waiting for clearance from authorities. However, forty-four trucks carrying 500 metric tons arrived in the country on Friday. Government announced that it will purchase 30,000 metric tonnes of maize from Zambia to avert the current food crisis in Malawi. Finance Minister Goodall Gondwe also told Parliament on Friday that government has authorised Admarc to purchase another 50 metric tonnes from Tanzania. On Friday, some of the drivers, who spoke on condition of anonymity, confirmed they have spent over 10 days at the border. “We are waiting for clearance from Zambian authorities but we have spent some days at the border. We don’t know when we will be cleared,” one of the drivers said. Admarc Chief Executive Officer, Foster Mulumbe, assured the nation that the process of importing all the 30,000 metric tonnes of maize would take two weeks. “This was actually planned, well in advance by government. When you look at the tonnage that is coming, it’s 30,000 metric tonnes. That’s not the tonnage we need currently. We have actually started stockpiling for the coming season. If we are talking about what parliament is saying, they have made their assertion barely 12 hours ago we wouldn’t have been able go through the whole process and have the maize start arriving in Malawi now,” Mulumbe said. The issue of purchasing maize to feed Malawians who are facing acute food shortage has become a contentious one, with Rumphi East legislator, Kamlepo Kalua, last week saying Members of Parliament want President Peter Mutharika to explain in Parliament. Principal Secretary in the Ministry of Agriculture, Erica Maganga, who was with Mulumbe on Friday when maize was arriving from Zambia, said the arrival of maize from Zambia was not due to pressure from Parliament. “We have not been pushed by parliament. The issue is that as government, we planned to have maize to take us through the whole lean period up to end March. But two things have happened. We had late onset of the rainy season. Because of that we have ended up in a situation where we need to sell maize even after April.